Andreas Gilger studied with Christian Rieger (Harpsichord, Continuo and Performance Practise), Wolfgang Kostujak (Continuo, Performance Practise) and Roland Maria Stangier (Organ) at Folkwang University, and with Michael Borgstede at the Hochschule für Musik und Tanz Köln. Further valuable input came from Andreas Staier and Christine Schornsheim. Andreas Gilger has been active as a harpsichordist and organist on CD recordings and stages all over the world, as a soloist, in chamber music and with conductors and ensembles such as Sir Roger Norrington, Das Neue Orchester (Christoph Spering) and Die Kölner Akademie (Michael Alexander Willens). Festivals at which he performed include the Tage Alter Musik in Herne, the Barocktage Melk, the Felicja Blumental Festival in Tel Aviv, the Shanghai International Arts Festival and the Festival Musika Música in Bilbao. In 2013 he founded the Cicerone Ensemble with Thomas Wormitt (Traverso) and Adrian Cygan (Baroque Cello). In 2015 they were awarded a scholarship during the Deutscher Musikwettbewerb, as well as a scholarship by the Köhler Osbahr Stiftung. 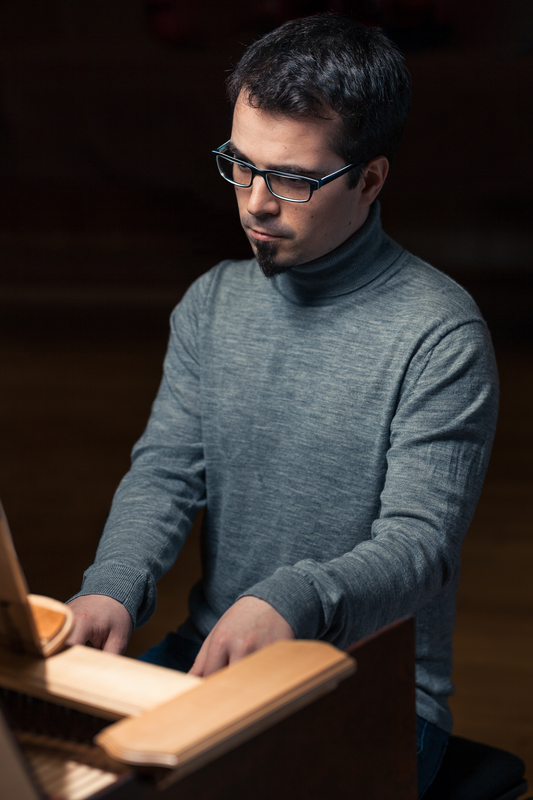 Since 2016 Andreas Gilger holds a post as lector for harpsichord, figured bass and as a répétiteur at the Mozarteum in Salzburg.